When I think of Pelikan, the first thought that comes to mind is their long revered piston filling mechanism. To me, this is the epitome of the perfect filling system and it has long withstood the test of time. It is one of Pelikan’s core features and one that helped to forge me into such a die-hard enthusiast. Given that the piston mechanism is such a part of the company’s identity, you can imagine my surprise when, in 2014, they released a cartridge/converter model based off of the Classic series’ M200 and M205. Pelikan contends that there has long been demand for such a filling system in a pen of classic design, particularly for those who travel and prefer the convenience of a quick cartridge swap. This demand has given rise to the black P200 and P205. I have never held much love for such pens myself. My first ever fountain pen was a cartridge pen (not a Pelikan) and I had no idea what I was doing. I could scarcely get it to work and it’s this bad experience which put me off to fountain pens all together. It would be three years before I’d return and become the devotee that I am today. Perhaps that bad experience has tainted me or maybe I am wiser today and can see past my early fumbling. Pelikan provided me a P200 on loan for the purpose of this review. The pen was freely leant and there has been no censorship of any kind to the content of this article. I’d like to think that I’ve been able to remain objective but will allow you to draw your own conclusions. I’m not sure that the P200 has taken anything away from my love of piston fillers but it may have helped alleviate some of my prior disdain for the cartridge pen in general. Manufacturers have developed many interesting and varied filling systems for fountain pens over the years. Some of these have been more successful and experienced greater longevity than others. My personal preference amongst pen filling mechanisms is predominantly for the self-contained piston filler. 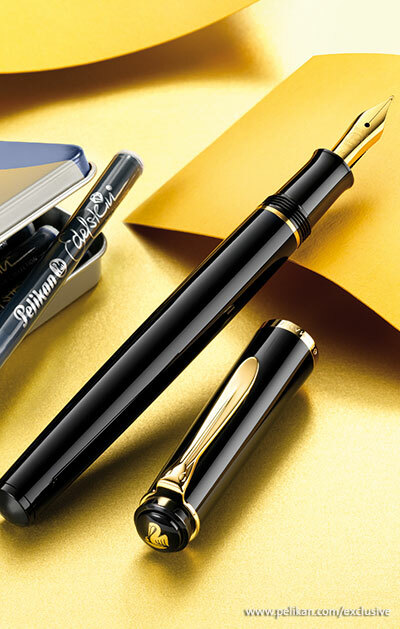 Perhaps that is why I gravitated towards Pelikan as they have implemented that type of mechanism as well as, if not better than, anyone else in the industry. 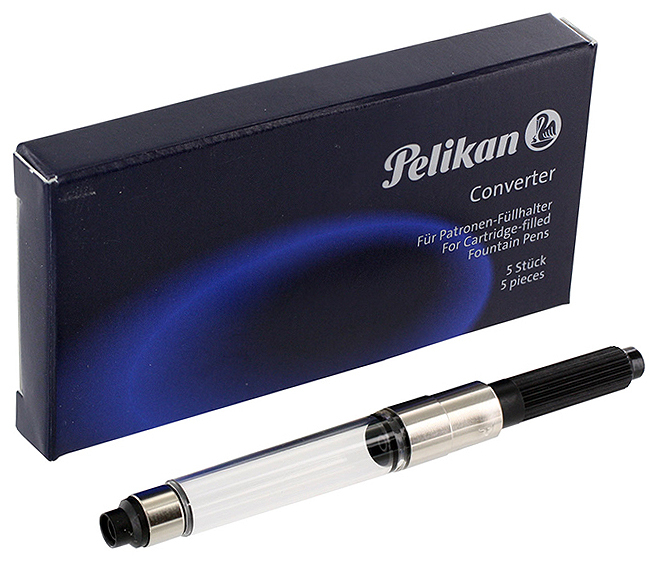 Pelikan, like many other manufacturers, also have many pens available that are of the cartridge/converter type. This type of filling system has a broad appeal for many. Cartridges can be more readily carried than a flacon of ink and are easily exchanged when they run empty which can help ensure that you don’t run out of ink at a crucial moment. Converters allow for a nice compromise in that you have the option to use your own ink while giving you the flexibility to swap out for a cartridge if so desired. 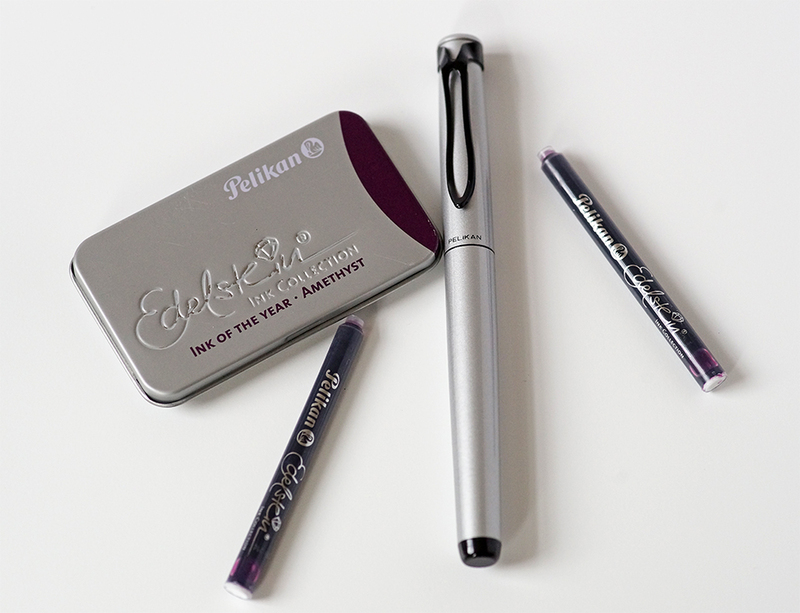 Certainly a converter can be more cost-effective and environmentally friendly than cartridges but both ultimately provide an easy and quick means to fill a pen so that you can enjoy the writing experience without worrying about the filling process. Brands are divided in the implementation of this though with some companies utilizing proprietary sized cartridges and converters while others have elected to use a more standard size. Most European brands, including Pelikan, utilize a standard design, making cartridges available in either long international (73mm) or short international (38mm) standards. What then could the conundrum be that the title of this post eludes to? If you have ever tried to secure a cartridge or converter to a Pelikan pen, you may have found that the fit is rather loose and discomforting. As unsettling as this is, it appears that it is actually by design.